Back Nine Homes | Golfing Community Real Estate Blog for the Raleigh, Cary, and Chapel Hill areas. As a pearl is formed, so is strength formed in humans…developing a resistance to a foreign object or challenge! As the new year begins, many have new challenges to face in 2016. It could be personal, professional, or spiritual, but challenges abound for all. The key is how we perceive these challenges and how we react to them. For me, 2016 will be the most difficult year of my life. With a personal loss, it will be a challenge for me to move beyond my grief and develop a new normal without my loved-one. My wife was my world…my best friend…my one true love. Living without her over the past month has been the hardest thing I have ever encountered and ever will. How can one move on after suffering such a loss? I choose to be a positive person, though the past month has challenged my efforts to be positive. Negativism and pessimism are the most natural instincts of the human condition and the easiest. It is difficult to be positive, and even more so, when you lose someone as close as a spouse. Being positive is a choice…not an easy one, but a choice. Being positive requires optimism, but it also requires great internal strength to overcome the doubts and worries. Your challenges in 2016 may center around a career change, or an impending layoff. It may be a personal decision such as a separation or housing change. Whatever your challenges may be in the new year, remember that there is strength in God, comfort in your family and support from your friends. The new year will be a challenge for many of us, but its not the end of the world. The Bible tells us that God will not challenge us above our abilities to handle. We have but one life to live…make your life a positive one…a great one! Are you in the mood for a backyard cookout, but no time to fire up the grill? Have no fear…Kamado Grille is here to the rescue. Kamado Grille opened on Saturday in the old Lucky 32 site on Spring Forest Road in North Raleigh to great acclaim. It is hard to believe the Lucky 32 restaurant closed its doors in North Raleigh in 2006. During that time, the building has remained vacant and unused. But no more…Kamado is here and poised to be an everyday restaurant that many will enjoy. Think fusion cuisine paired with backyard barbecues and you have the flavor of Kamado Grille. The food is even prepared on kamado grills. 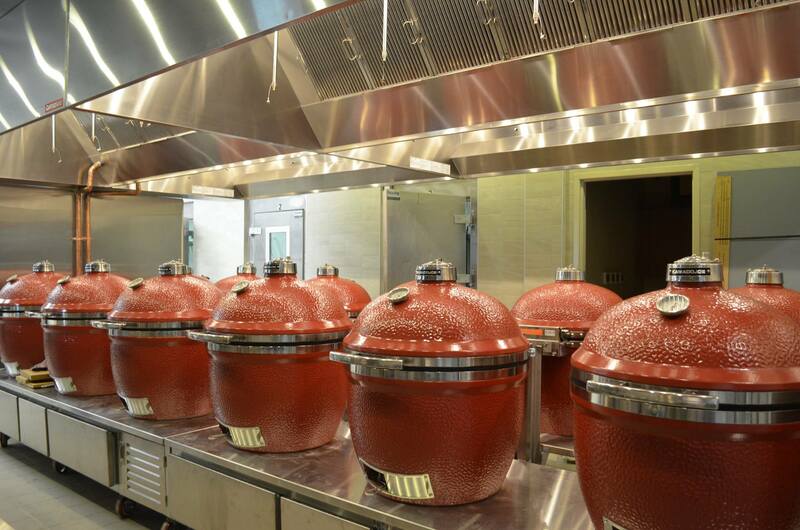 Kamado grills are similar to the Big Green Egg for those grilling enthusiast. The kitchen consists of a dozen or more kamado grills where everything from appetizers to desserts are prepared…all with the smoky flavors of a charcoal grill. No gas here…just charcoal. As a charcoal grill advocate, I appreciate the cooking process that only a charcoal grill offers. The flavors are better on a charcoal grill and the process is primal in nature. It takes time and skill to elevate the coals to the proper cooking temperature while ensuring the food is properly prepared without the aid of electronic means that monitors the temperature. Cooking aside, the Kamado Grille offers everything from salads to appetizers to burgers and sandwiches to entries. The salads are generous portions with unique dressings such as the Arnold Palmer vinaigrette. The most popular appetizer is the lamb lollipops served with Goldsboro cheddar grits and a Maria sauce. Though not a fan of crab cakes, I am told the cast iron crab cakes are delicious. The entries are some of the best values in town and just as sumptuous. On my first visit, I had the St Louis ribs. They were very tender but not so tender that it falls apart when you pick up a rib. The dry rub seasoning was favorable. There are three BBQ sauce options and I can vouch for the Root Beer BBQ sauce. This evening, I had the reverse seared pork bomb and it was so tender a fork was the only utensil needed. It was deliciously seasoned with a sweet bourbon glaze. My wife had the maple miso salmon served on a cedar plank and she commented that it was the best salmon she had ever eaten. For lighter faire, they have flatbread and sandwiches to include a burger. The desserts, though limited in choices, was served hot off the grill and very moist. We shared the chocolate cobbler topped with ice cream. It was very similar to a molten lava cake and was served in a cast iron bowl…hot off the grill. The atmosphere and service are memorable. The restaurant has two large screens that switch from live kitchen feeds to videos that can be found on YouTube. The live feed of the kitchen ensures the patrons that the kitchen is clean and it is fascinating to watch the grills at work. The staff is friendly and very helpful. In our few visits, many of the servers have remembered us and welcome us. It is a casual restaurant where the servers where jeans and plaid shirts, but the food is anything but casual. Being new, they are still working out some of the kinks that can be expected from any new restaurant, but i am optimistic they will work them out. The tables come equipped with an iPad ordering system and you can actually pay there, no giving your credit card to a stranger. This was one area that needs some improvement as the system doesn’t always keep up with supplies. For instance, my wife ordered a glass of wine and when we didn’t receive it, was told they were out of that wine for the evening. It made for some delays and she didn’t get her wine until the food had already been delivered. Notwithstanding, it is a wonderful experience and one that will only get better over time. The management is very attuned to customer service and the staff strives to impress. We will definitely be back for more ‘backyard barbecues’ at the Kamado Grille. 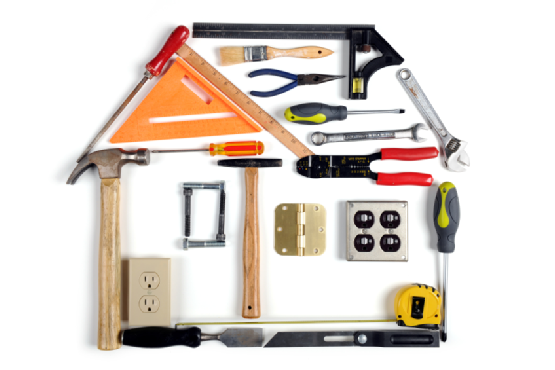 Proper home maintenance can prevent major repairs and can help your home to always be ready to go on the market! One thing that many homeowners do not consider is the aspect of keeping your home in sales ready condition. As you live in your home, you rarely think about selling until the time comes where you need to sell. However, it is important to keep your home in sales ready condition so should you need to sell quickly, your home will already be ready. There are several reasons you may need to sell quickly such as a job relocation, job loss or other financial concerns. In these instances, you probably will not have the money or time to do the minor repairs to get your home ready for sale. Some of the things that can assist you in being ready to sell at a moments notice is to keep on top of weekly and monthly maintenance issues such as changing air filters, HVAC inspections and minor cosmetic items such as dings in the walls. Do you need a maintenance schedule? That depends on the individual, but it’s not a bad idea to have some plans in place to ensure these issues are addressed in a timely manner. You can find several maintenance schedules pre-printed throughout the Internet, but I will warn that non are all-encompassing and you may have to find several schedules to create your own schedule that is specific to your home. If you live in a townhouse or a condo, then obviously the exterior maintenance will be addressed by the homeowner’s association, not you. Even then, you will want to follow-up with the property manager to ensure everything is being done on schedule and correctly. For instance, when my townhouse building was painted recently, the painters used the wrong tape and when I removed it after they were finished, it removed some of the paint from the backdoor frame. The job wasn’t done properly, so I had to make sure it was. What are some typical maintenance issues you can expect to perform on a regular basis? Here is a list of several items, but again, is not all-inclusive. Do your own homework for your specific property! Inspect and possibly change air filters. Depending on the type of filters you use, you may have to change them monthly or quarterly. There are many different types of filters and I would encourage you to investigate the pros and cons with each of them. Personally, I do not use the higher end ones that take out the smallest particles because this forces your HVAC unit to work harder to circulate the air through these filters and can cause your unit to age and deteriorate quicker. Clean kitchen sink disposal. Ice cubes is one of the easiest ways to clean the disposal as the process of breaking up the cubes will help dislodge any lingering food particles. I have seen where some have used vinegar ice cubes which will freshen the smell of the disposal. Personally, I don’t use the vinegar cubes, but I will drop a part of a lemon in the unit to freshen it up. Clean the range hood filter. This can be a messy job and one that can lead to safety issues. Grease buildup can potentially cause fires, so you want to make sure it is cleaned. Inspect fire extinguisher. Again, a safety concern because you don’t want to learn after a fire that your extinguisher is not working properly. You want to make sure it is reachable in a timely manner and that the pressure gauge shows enough pressure. Test smoke/carbon monoxide detectors. Another safety concern as you want to make sure they are properly working. I typically plan to replace the batteries when I change out the air filters as I have the ladder and can do both easily. Test garage door auto-reverse feature. This is a safety concern, especially if you have small children in and around the house. It can be easily done by simply placing a 2 by 4 piece of wood at the base of the garage door and the door should automatically reopen once it touches the wood. Run water and flush out toilets in unused spaces. If you have a guest room and bathroom that isn’t used often, you will want to run water through the toilet to make sure there is not buildup that could cause clogging or worse, water leaks. Check water softeners, add salt when needed. If you don’t have a water softener, you do need to worry about this, but it is an easy task. You shouldn’t need to add salt every month. Test your water heater’s pressure release valve. This will prevent mineral and corrosion buildup and potential leaks. It can also aid your units efficiency. Give your house a deep cleaning. Every six months, spend a Saturday to have a whole house cleaning to include the windows, dusting every nook and cranny. This will help keep dirt particles out of the air and may help your health. Vacuum your refrigerator coils. This can help your refrigerator operate more efficiently and can save you up to $100 per year in electricity bills. Your refrigerator uses approximately 15% of your home’s electricity and if the coils get dirty, it will take more electricity to operate the unit. Of course there are many more items and I would encourage you to review other items. I will not go into all of them in this post but remember there are also annual items that need to be addressed such as cleaning gutters, checking exterior drainage, roof inspection and much more. I have found this blog post to be very helpful and plan to utilize this list for the future maintenance issues for my home. Please visit here to learn more about these additional items. Remember, you never know when you will need to sell your home quickly and these items will help your home to always be prepared to go on the market. Additionally, these items can ensure your home operates as intended and reduce the major repairs that can be avoided with regular maintenance. Today’s Housing Market…In short order! Banked Owned homes have increased in Wake County from last year! Today’s housing market is improving, but challenging at the same time. There are more positive metrics than negative ones for the period ending July 2014, but those that are alarming can be imposing to overcome. The positives include the days on market and the odds of selling your home, but the challenges come with the number of foreclosures in the market, both on the market and those homes in pre-foreclosure action. The good news, despite showings being down a bit over the summer, sales increased over July of 2013. Closed sales were up in July by 2% over the same period a year ago and up 3% year-to-date, while again being up slightly from the previous month (2%). These are positive trends, though it shows a slow improvement in the housing market, not a full-scale rebound. The total inventory was up 2% with new construction accounting for a 20% increase and re-sale dropping by 2%. For July, new listings entered into the Multiple Listing Service (MLS) rose by 5% with 38% having experienced at least one price decrease during the listing period. Additionally, 50% of all listings have been on the market for at least 58 days. With all of that said, it is still an improvement for our market. Though the percentage of listings with a price reduction was up slightly in July, the average days of market of 58 days is well below the 130 average days on market from July 2011. Stacey P. Afindsen of the Triangle Area Residential Reality (TARR) reports that he believes “the majority of price dropping is coming from upper end price brackets or those sellers with residences that are not in move in condition.” He goes on to say that he believes the lure of new or updated homes are luring buyers out of their preferred geographical locations, which is adding a new layer of competition for many sellers. The average sales price for the overall market and re-sale market rose by 6%, which is a positive that the re-sale market is keeping pace with new construction. The supply of housing demand is still squarely in favor of the seller with the majority of price points having less than a 6 month supply with some at less than a month’s supply. The sectors that are above the 6 month supply tend to be the higher-end homes which is always the case. The more expensive the home, the fewer buyers that are available and the longer it takes to sell it. What are the odds of selling your home? Obviously there are many differing factors that may impact your specific home (price, location, condition, etc. ), but as a general rule in Wake county, it stands at 36% for July. This number is down slightly from the previous months and down from 37% in July 2013. Despite the minor drop in this number, the odds are still strong that you will sell your home. Now for the negative…foreclosures. 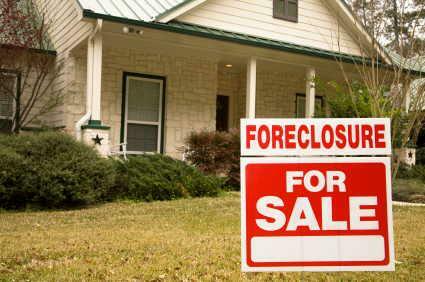 I don’t always bring up foreclosures since in theory, a foreclosure does not affect the value of your home, but in reality, it can have an impact if a large percentage of homes in your neighborhood are foreclosures or distressed homes. RealtyTrac, a company who specializes in tracking foreclosure throughout the nation, reports that Wake County has a larger percentage of foreclosures than the entire state of North Carolina and the nation as a whole. Furthermore, it reports that the pre-foreclosure notices for Wake had increased over the previous months and July had the highest number over the last twelve months. Where bank-owned properties are down for the month, the number of pre-foreclosures is up. How will this impact the market over the next six months? It is anyone’s guess, but it largely depends on how much of this inventory is released by the banks for sale. If a large number are released into the market, it can negatively impact the housing values. However, if they release them slowly, the impact will be lessened..which is what I expect to happen. In closing, the housing market is good, but not as good as it could be. It is improving, but not as fast as it did last year. For my community, the new construction has brought greater traffic to the community so our few re-sales have sold quickly…much more so than in the past several years. Ultimately, real estate is local and that means that your community may be better or worse than the county as a whole…it requires a more in-depth analysis to make the best determination as to whether it is a good or a bad time to sell your home. For specific information about your community, please contact me and I will be happy to assist you. Helping One Another…In Business and Life! 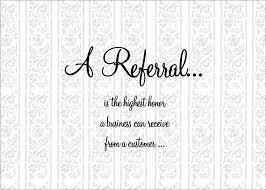 Referrals…the lifeblood of many local businesses! Refer a friend to your favorite business professional! One of the greatest joys in life is helping another human being, whether it be personally, emotionally, or professionally. I have always believed that you gain more from giving than receiving. Don’t get me wrong…it is great to receive, but it is not as fulfilling as when you give of your time, resources or expertise to others. Of course, I am speaking more about philanthropic endeavors, but the same can be seen in business. Knowing that your efforts to refer a prospective client to someone you know, like and trust can have the same personal impact as donating to a worthy cause. After all, what is a better cause than to help your friends be successful in business and life. As a Rotarian (Past President of my chapter), I am all about giving back to the community and our world. Not to blow my own horn, but I am a Paul Harris Fellow (donated $1,000 to the Rotary Foundation), but that is just the tip of the proverbial iceberg that constitutes my efforts in the community. I have traveled to Guatemala three times at personal cost to participate in the literacy project that my Rotary club sponsors and I have traveled to New Jersey to work on a home devastated by Hurricane Sandy. I am all about giving back as I am sure you are as well. This makes me feel good that I can help make a positive difference in our world. It’s been said that the greatest mark of a successful life is to make the world a better place because of you. Rotary gives me a way to do just that…make the world a better place. Thanks to Rotary’s efforts, we are very close to eliminating polio from the world. One area that I haven’t been as successful to give back is through referrals. I have given some referrals over the years to my business connections in the Triangle, but not enough. Why? That is a great question and one I wish I knew the answer. I think it is because I haven’t made it a priority to look out for opportunities to give referrals. When I am working with a client, I tend to get caught up in giving them the special service for their purchasing or selling needs that I fail to see how I can impact them in a greater way by referring them to professionals that can help them beyond their real estate needs. Am I asking myself or them questions that will help me determine whether a connection of mine can help them? The answer is ‘no’…I’m not. It isn’t easy to lead the conversation in directions that can bring out the needs of my clients and friends. I know I need to make a better effort to reach out to my contacts to see if they have a need for the services of my friends and business associates. Most of the referrals I have given over the years have been centered around their real estate needs such as a mortgage specialist or a home inspector. But their need for professional services does not end with the purchase or sale of their home. What are some ways I can improve in this area? First of all, I can add specific questions on the questionnaire that I give buyers and sellers that ask some of these questions. Secondly, I can make a list of my preferred vendors and include it in the packet of information I give my buyers and sellers. But the most important thing I can do is listen better. As a real estate professional, I have trained myself to listen when someone mentions a real estate need, but I need to expand that to include other professions such as financial planners, marketing experts and any number of additional professions that could be helpful. If you have a business that relies on referrals, I want to hear from you on how you give and receive referrals from other business professionals. Send me an email or comment on this post with your business, what type of clients/customers you need and how you give referrals. Help me help you! Of course, I would be remiss if I did not include my own specific needs. I am looking for renters who are considering buying their first home. As one who specializes with First Time Homebuyers, I have the patience to listen to them and work with them on their own schedule…not pushing them to buy before they are truly ready to buy. I am also looking for homeowners who are looking to downsize or upsize because their family is growing. In this market, sellers are a premium and homes are selling quickly. I would love to work with your friends, neighbors or employees to get them into a great home. In closing, I promise to do a better job referring business to others and in turn, I would ask that you keep Back Nine Homes and myself in mind when you encounter someone looking to buy or sell a home. The story behind Independence Day…And those who shaped our nation! As we approach the 4th of July, it is important to remember the sacrifices of the brave men who established our nation with the single, most important document in American History…the Declaration of Independence. If not for this declaration, we would not enjoy the life we have today. If not for their sacrifices, we would still be British subjects. The impact, both positive and negative, that our nation has had on the world over the last 200+ years would not have been possible. In preparing for this article, I came across several articles concerning the sacrifices of our “Founding Fathers”. None has been as impressive as the one I have included in this post. You may not always agree with the author of this article, but you cannot deny the struggles of those who penned their names to a document that was considered ‘treason’ and caused them much trouble in the years to follow. In the end, many lived long lives and prospered with the new nation, but their short-term sacrifice cannot be diminished. If we had lost, their stories would have been much different. We owe them much, but we owe those who fought, both in that war and in all the wars and conflicts to follow, for our freedoms. I would ask that this Independence Day, you think more about their service to our nation and less about the ‘perfect’ cookout. This day is about more than a day off work or fireworks…it is about the birth of the greatest nation this world has ever known. It is not a perfect nation and our history hasn’t always been positive, but the world is a better place because of the existence of this nation. Please read the article below with an open mind and I ask that you not be prejudiced by the author. Rush H. Limbaugh, Jr.It was a glorious morning. The sun was shining and the wind was from the southeast. Up especially early, a tall bony, redheaded young Virginian found time to buy a new thermometer, for which he paid three pounds, fifteen shillings. He also bought gloves for Martha, his wife, who was ill at home. The moment the door was shut, and it was always kept locked, the room became an oven. The tall windows were shut, so that loud quarreling voices could not be heard by passersby. Small openings atop the windows allowed a slight stir of air, and also a large number of horseflies. Jefferson records that “the horseflies were dexterous in finding necks, and the silk of stocking was nothing to them.” All discussion was punctuated by the slap of hands on necks. Here in this hall Patrick Henry had once thundered: ” I am no longer a Virginian, Sir, but an American.” But today the loud, sometimes bitter argument stilled, and without fanfare the vote was taken from north to south by colonies, as was the custom. On July 4, 1776, the Declaration of Independence was adopted. Ben Franklin was the only really old man. Eighteen were under 40; three were in their 20s. Of the 56 almost half -24- were judges and lawyers. Eleven were merchants, 9 were landowners and farmers, and the remaining 12 were doctors, ministers, and politicians. Each had more to lose from revolution than he had to gain by it. John Hancock, one of the richest men in America, already had a price of 500 pounds on his head. He signed in enormous letters so “that his Majesty could now read his name without glasses and could now double the reward.” Ben Franklin wryly noted: “Indeed we must all hang together, otherwise we shall most assuredly hang separately.” Fat Benjamin Harrison of Virginia told tiny Elbridge Gerry of Massachusetts: “With me it will all be over in a minute, but you , you will be dancing on air an hour after I am gone. It was principle, not property, that had brought these men to Philadelphia. Two of them became presidents of the United States. Seven of them became state governors. One died in office as vice president of the United States. Several would go on to be U.S. Senators. One, the richest man in America, in 1828 founded the Baltimore and Ohio Railroad. One, a delegate from Philadelphia, was the only real poet, musician and philosopher of the signers (it was he, Francis Hopkinson – not Betsy Ross who designed the United States flag). – Francis Lewis, New York delegate saw his home plundered and his estates in what is now Harlem, completely destroyed by British soldiers. Mrs. Lewis was captured and treated with great brutality. Though she was later exchanged for two British prisoners through the efforts of Congress, she died from the effects of her abuse. – William Floyd, another New York delegate, was able to escape with his wife and children across Long Island Sound to Connecticut, where they lived as refugees without income for seven years. When they came home they found a devastated ruin. – Philips Livingstone had all his great holdings in New York confiscated and his family driven out of their home. Livingstone died in 1778 still working in Congress for the cause. – Louis Morris, the fourth New York delegate, saw all his timber, crops, and livestock taken. For seven years he was barred from his home and family. – John Hart of Trenton, New Jersey, risked his life to return home to see his dying wife. Hessian soldiers rode after him, and he escaped in the woods. While his wife lay on her deathbed, the soldiers ruined his farm and wrecked his homestead. Hart, 65, slept in caves and woods as he was hunted across the countryside. When at long last, emaciated by hardship, he was able to sneak home, he found his wife had already been buried, and his 13 children taken away. He never saw them again. He died a broken man in 1779, without ever finding his family. – Dr. John Witherspoon, signer, was president of the College of New Jersey, later called Princeton. The British occupied the town of Princeton, and billeted troops in the college. They trampled and burned the finest college library in the country. – Judge Richard Stockton, another New Jersey delegate signer, had rushed back to his estate in an effort to evacuate his wife and children. The family found refuge with friends, but a Tory sympathizer betrayed them. Judge Stockton was pulled from bed in the night and brutally beaten by the arresting soldiers. Thrown into a common jail, he was deliberately starved. Congress finally arranged for Stockton’s parole, but his health was ruined. The judge was released as an invalid, when he could no longer harm the British cause. He returned home to find his estate looted and did not live to see the triumph of the revolution. His family was forced to live off charity. – Robert Morris, merchant prince of Philadelphia, delegate and signer, met Washington’s appeals and pleas for money year after year. He made and raised arms and provisions which made it possible for Washington to cross the Delaware at Trenton. In the process he lost 150 ships at sea, bleeding his own fortune and credit almost dry. – George Clymer, Pennsylvania signer, escaped with his family from their home, but their property was completely destroyed by the British in the Germantown and Brandywine campaigns. – Dr. Benjamin Rush, also from Pennsylvania, was forced to flee to Maryland. As a heroic surgeon with the army, Rush had several narrow escapes. – William Ellery, Rhode Island delegate, saw his property and home burned to the ground. – Thomas Lynch, Jr., South Carolina delegate, had his health broken from privation and exposures while serving as a company commander in the military. His doctors ordered him to seek a cure in the West Indies and on the voyage he and his young bride were drowned at sea. – Edward Rutledge, Arthur Middleton, and Thomas Heyward, Jr., the other three South Carolina signers, were taken by the British in the siege of Charleston. They were carried as prisoners of war to St. Augustine, Florida, where they were singled out for indignities. They were exchanged at the end of the war, the British in the meantime having completely devastated their large landholdings and estates. – Thomas Nelson, signer of Virginia, was at the front in command of the Virginia military forces. With British General Charles Cornwallis in Yorktown, fire from 70 heavy American guns began to destroy Yorktown piece by piece. Lord Cornwallis and his staff moved their headquarters into Nelson’s palatial home. While American cannonballs were making a shambles of the town, the house of Governor Nelson remained untouched. Nelson turned in rage to the American gunners and asked, “Why do you spare my home?” They replied, “Sir, out of respect to you.” Nelson cried, “Give me the cannon!” and fired on his magnificent home himself, smashing it to bits. But Nelson’s sacrifice was not quite over. He had raised $2 million for the Revolutionary cause by pledging his own estates. When the loans came due, a newer peacetime Congress refused to honor them, and Nelson’s property was forfeited. He was never reimbursed. He died, impoverished, a few years later at the age of 50. Lives, fortunes, honor Of those 56 who signed the Declaration of Independence, nine died of wounds or hardships during the war. Five were captured and imprisoned, in each case with brutal treatment. Several lost wives, sons or entire families. One lost his 13 children. Two wives were brutally treated. All were at one time or another the victims of manhunts and driven from their homes. Twelve signers had their homes completely burned. Seventeen lost everything they owned. Yet not one defected or went back on his pledged word. Their honor, and the nation they sacrificed so much to create is still intact. Life and Death…what does it all mean? I had the unfortunate task this evening of attending a viewing/reception for the grandson of a member of my Rotary Club. As president, I felt encumbered to attend, but it was more than simply that sense of duty…I wanted to be there for a fellow member. It wasn’t the first time our club has had a grandchild pass since I have been in the club, and each time is unique and sorrowful. This young man was 29 years old and had been battling cancer for a few years. When I spoke with his father, who is a former member of our club, he described the last few years as very painful for his son…his only son. He told me the reality of the loss hadn’t quite hit him yet as he found himself going through the motions. The son was living with his parents and last Friday, he was laying on the couch in the basement, watching a baseball game with the television remote in his hand when he drifted off to sleep…never to wake. The finality of death is something that we all must consider as we live our lives, but it is never easy to grasp…especially in one so young. It is at times like this that we who remain tend to reflect on life and all that it entails. As we have come to learn, life is precious and fleeting. Though we have beliefs and theories as to what the future holds, in essence, death is unfamiliar territory for everyone, not matter how much a person believes he knows. In reality, it is all a fleeting belief. Death could be final with nothing but darkness…final. As Christians, we believe in heaven and that tends to help people deal with the issues of death. I am not going to get into religion or the lack thereof in this post, but rather talk about the purpose and meaning of life. I am not a soothsayer who has all of the answers to life and death. Rather, I have an opinion (which like a…holes, we all have one) that I’d like to share. To me, the meaning of life is to live it with zest and purpose. Live life on your terms. 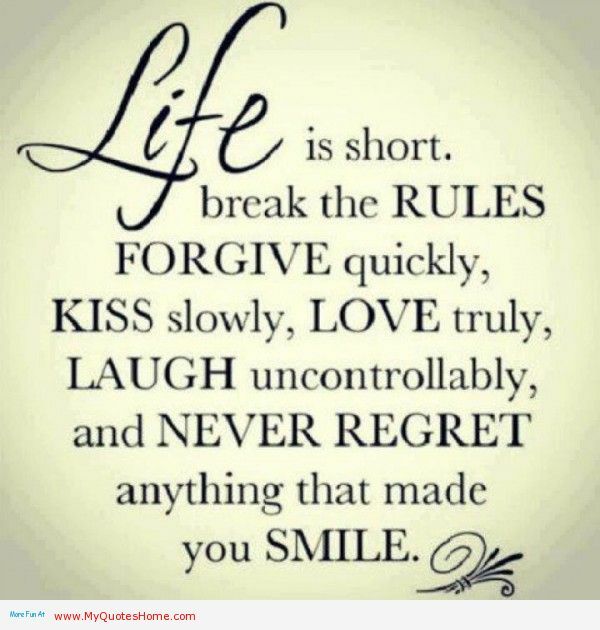 I have told my wife so many times that “life is too short to feel guilty”. She always says she feels guilty about this or that, but guilt limits your ability to enjoy your life. You have only been given one life…live it. Many evenings you can find me with a glass of wine or scotch in my courtyard with a cigar and enjoying my life. I could be reading, writing, or simply staring at the stars. Whatever gives you pleasure (as long as it doesn’t hurt anyone) should be how you spend your life. In addition to living a life with zest, you should live it with a purpose. I cannot begin to tell you what your purpose should be, but you should find a purpose and fulfill it. For me, my purpose, aside from giving great customer service to my real estate clients, is to write and donate my time and resources to causes that I hold dear. This is one reason I have associated with and promote Rotary. It is an avenue for me to give of my time, talents and resources to a massive organization that is “Doing Good in the World”. What better purpose could you have? It is no secret that when you give of yourself to help someone less fortunate, you will gain more from the experience then they will receive. I have traveled to Guatemala for a literacy project our club supports and the young children are so thankful for the assistance they are receiving with regards to their education and future earning potential due to a better education. At a couple of schools, we were mauled by the students asking for our autograph. It made you feel like a celebrity or a rock star, but in essence, it was their way of showing how much they appreciated our coming to their poor school to give them textbooks or computers. There you have it…my wise (or not wise) wisdom on life. You don’t have to agree with me and its alright if you don’t. But in closing, the thing that wraps all of this together is the relationships and memories we gather over our life. Humans are a social species and we need to interact with others. We crave it…we desire it…we need it more than we need air or food. Sure, you can survive without others, but most people who live an isolated life begin to diminish mentally, losing their grasp on reality. We need others…plan and simple. Thanks for letting me vent and give my two-cents (I am accounting for inflation) on this subject that I doubt anyone is truly qualified to discuss, but everyone thinks they are an expert. That’s alright. I am the only one who can live my life, so it is fitting that I have my own theory on life…it goes for you as well. There is no perfect answer to the most difficult question to plaque the human race…the meaning of life! Is your home infested with mold? There are many different forms of mold and some can be deadly to you and your family…get it checked out! At our recent Continuing Education class on May 14, we covered the topic of Toxic Mold Remediation, including how water-damage related mold develops in homes and buildings, as well as how mold affects the health of the structure and its occupants. In our next two newsletters, we’ll recap some of the key points, for those of you who were unable to attend. Let’s start at the beginning, with a brief discussion about how mold develops inside a building. In most homes, conditions are nearly ideal for mold to grow. Mold needs only three things to thrive: (1) an organic food source such as wood, paper, fabric, leather, wool, etc., (even dirt on inorganic materials has enough organic material to support mold growth); (2) an agreeable temperature range between 68º and 86º F, which is typical of most occupied buildings; and (3) sufficient moisture that can come from a plumbing leak, water damage from a storm (or even high humidity). Of course, nearly every home has items #1 and #2. When you add the third, usually missing, indgrediant, conditions are nearly ideal for mold to grow. Whether the waters comes from major rain storms, a massive flood like those we recently observed as close as Fayetteville, or from other pre-existing sources, remediation must be done quickly and correctly, or mold WILL grow. Of course the very best way to ensure that mold will not begin to grow is to contact restoration professionals, such as PuroClean Raleigh – Property Damage Restoration Services. We can remediate the loss, or even to do an inspection to confirm that there are no lingering (mold-causing) problems in the home. Restoration professionals have a wide variety of professional tools and meters to evaluate a home quickly and thoroughly. If there are problem areas, we will be able to develop a plan for complete remediation and restoration of your property. Regardless of the circumstances – damage from storms or floods, damp basements & crawl spaces, unattended leaky faucets, or air conditioning overflows, please call PuroClean Raleigh – PDRS at the first hint of a problem. Our well-trained technicians truly are Paramedics of Property Damage™. We provide the latest state-of-the-science services to all property damaged from water and mold, as well as fire/smoke and other disasters. We will mitigate the loss to prevent further damage and will then deliver restoration services to return the property to a pre-loss condition as quickly as possible. In this newsletter, we’ve talked about the conditions that lead to mold infestion, as well as the reasons it is so important to remove mold quickly and completely. Next time, we’ll share information about tell-tale signs for mold detection, as well as tips on how to remove small amounts of mold yourself, and which circumstances call for a professional remediation company like PuroClean – Raleigh. In the meantime, if you, or clients, family members or friends, experience mold and water-related problems, please be sure to contact them at PuroClean Raleigh – Property Damage Restoration Services immediately. You can also follow them on Facebook at PuroClean of Raleigh, where we cover topics related to water damage, fire damage, mold & biohazard removal, as well as other restoration tips, in greater detail. 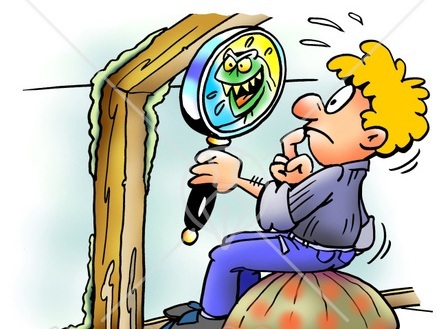 This month, we are devoting special attention to this topic of mold remediation. 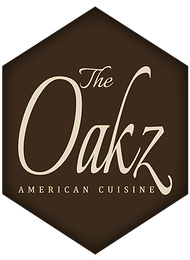 A Hot New Restaurant on Glenwood Avenue…The Oakz!!! A great new restaurant in Downtown Raleigh that specializes in American cuisine…A Must Eat Place!!! A couple of weeks ago, I attended the Wine to Water fundraiser presented by the Raleigh Rotaract Club at The Oakz. It was my first visit to this new restaurant, located at 510 Glenwood Avenue in the former High-5s space. I met one of the owners, Ira Freedman and we talked about wine…after all, it was a wine tasting. He gave a glowing report to the extensive collection of American wines that he had to offer at his new restaurant. The Oakz is an American Cuisine restaurant that has tremendous food and an inviting atmosphere. Last Friday, we dined there for the first time and the food and wine were exquisite. Once again, I spoke briefly with Ira and he donated four $25 gift cards to the 5th Annual Jack Andrews Memorial Golf Tournament presented by the Rotary Club of North Raleigh. This isn’t the reason I like the restaurant, but his willingness to support this event shows the type of person he is. He had also donated a gift card to the Rotaract fundraiser. He and his daughter, Jaclyn Starritt are the creators of this concept and the name is a collection of the first letters of his grandchildren, (Oakleigh, Annie, Karli and Zack) realizing later that it was perfect for the City of Oaks (with a slight spelling correction). This is the first restaurant the duo has owned, but Ira has spent many years managing restaurants and nightclubs for other owners. He always dreamed of owning his own restaurant and his daughter was no different. Ira is a native of North Carolina, but spent several years in New York where he met his wife. They returned to the Old North State 22 years ago with their two daughters. Jaclyn spent many years in the industry while working her way through high school and college, and earned a Ph.D in Psychology and currently has a practice in Cary. Together, they have formed a great restaurant with a focus on customer satisfaction. The atmosphere is impressive and the staff if very friendly. As time progresses, they will begin to feature new regions or states in our country. The executive chef, Jabari Wadlington has created all of the dishes. I have yet to try many of the fares on the menu, but the ones I tasted have been tremendous to include delicious Oakz Mac, which is a blend of three cheeses, Gouda, Gruyere, and sharp Cheddar. Though they have been opened for several weeks, the official Grand Opening will be Friday, May 9th. I will be there and will have to have the mac again. Even though I am not a professional food critic (a Realtor instead), I would highly recommend this restaurant. My wife and I really enjoyed our experience here and believe it can be the next Bogarts for this building that has struggled to keep these restaurants spaces filled. 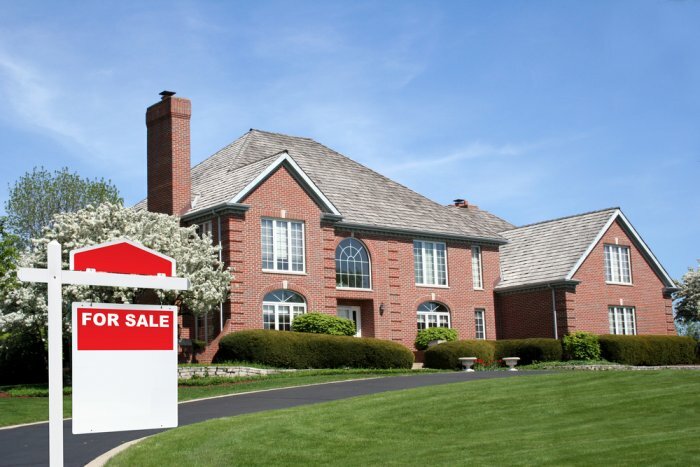 Today is one of the best times in recent memory to sell your home! Sales are up and inventory is down!!! If you have been paying attention to the news, you will understand this trend, but how can it be important to you. Currently, the housing market continues to improve, but there is still a lack of homes available for sale. If you currently own a home and have been considering selling, this is a prime time to list your home and get it sold quickly. The downside is your ability to find a home once you have sold your home. Sellers are finding homes selling within days of being on the market with a sales price over the list price. Just how bad are the inventory levels…very bad. Of course, it all depends on your perspective whether this is bad or good, but inventories at the end of March 2014 was lower than a year ago, though it is slightly up from the past two months. In Wake County, pending sales were up more than 350 over the previous month and the highest since August 2013. The metric I like to look at is the monthly supply and the odds of selling your home. Across Wake County the monthly supply of homes available is only 3 months, which is similar to the level felt throughout last summer. The odds of selling your home is a 35%, which is the highest since July 2013. Basically, this means that one in three homes on the market sold during the month of March…an amazing figure. Due to these metrics, we are firmly in a seller’s market where there is a lack of supply (listed homes) to match the demand (homebuyers). What does this mean? If means that if you are selling or interested in selling, this is the prime time to have your home on the market. You would be facing less competition and it could mean that your home would sell for more than asking price. To preface this, not all homes are located in the hot areas that will result in multiple offers. What’s more impressive is that for March, only half of the homes sold with some concessions…this is the lowest for a March in many years. To put this in perspective, March 2013 had 53% of homes sell with some concessions (Seller paid closing cost) and if you go back even further, March 2010 had 77% of all homes had sold with some concessions. Of those that closed in March, 19% represented cash sales and 60% were new listings and 51% of the resales (not new construction) sold within 30 days of being on the market. So, what are you waiting for? If you have been considering selling your home to move up to a larger one or downsize, now is the optimal time to get your home on the market. We haven’t seen this type of market in years and the scarcity of listings has continued since the market began to improve in 2012. For more information about the value of your home, please feel free to contact me at Steven@BackNineHomes.com. I will be happy to talk with you and let you know what your home is worth.